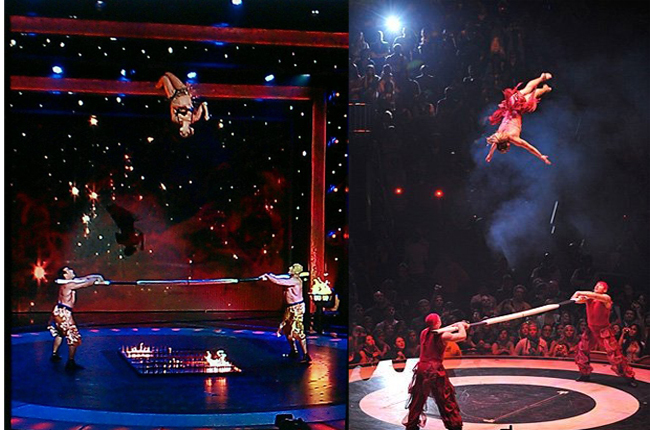 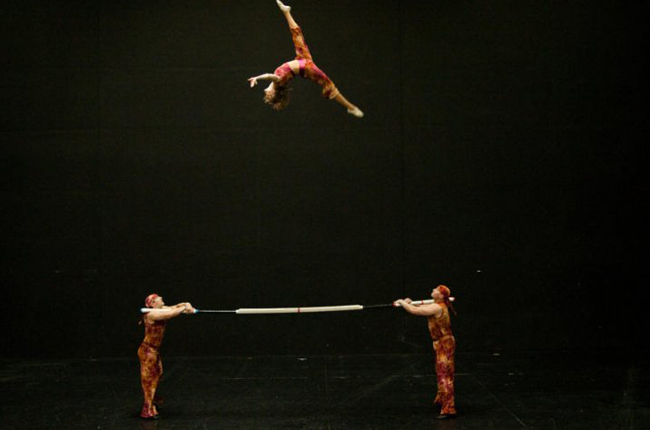 This unbelievably death defying act is an exciting favorite with all audiences! 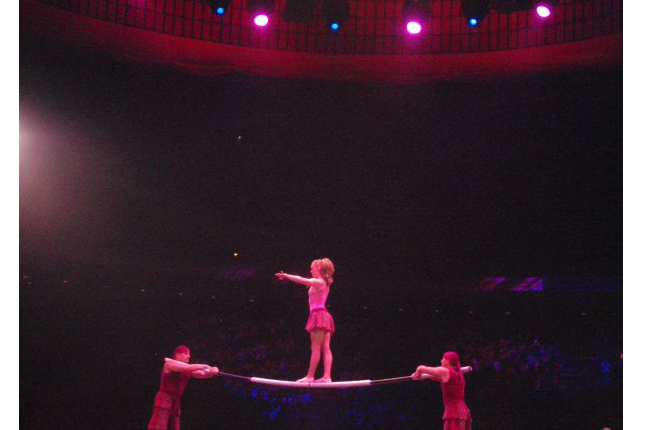 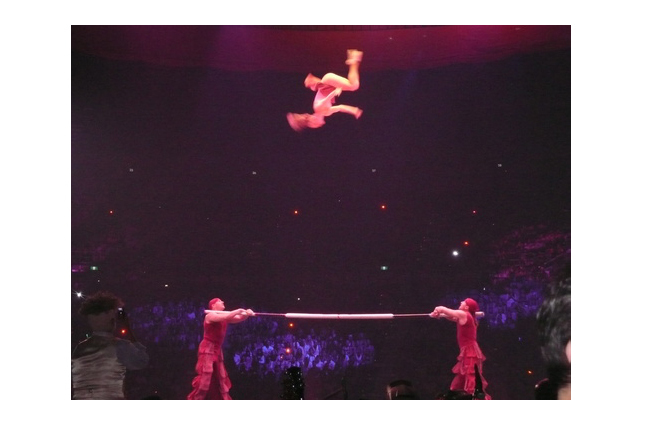 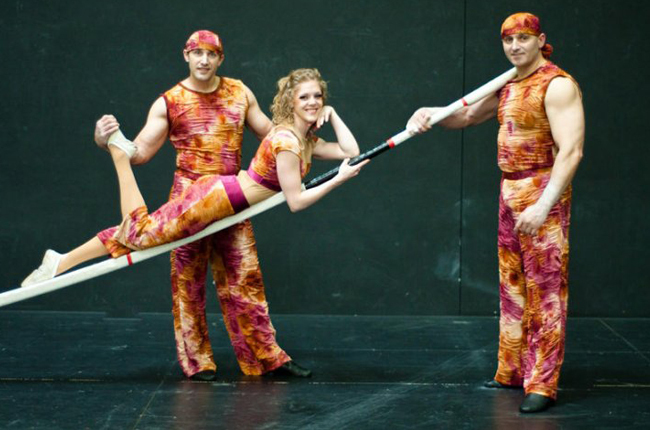 While two porters hold a 4 inch wide flexible bar that stretches 14 feet long across their shoulders toss a flyers up to 30 feet in the air while they execute and perform a series of dangerous and thrilling jumps, flips and twists while they land flawlessly back on top of the bar. 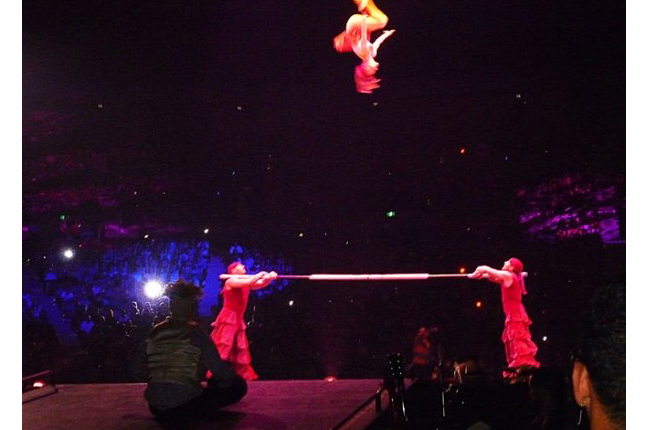 This specialty act is truly breath taking and amazing! 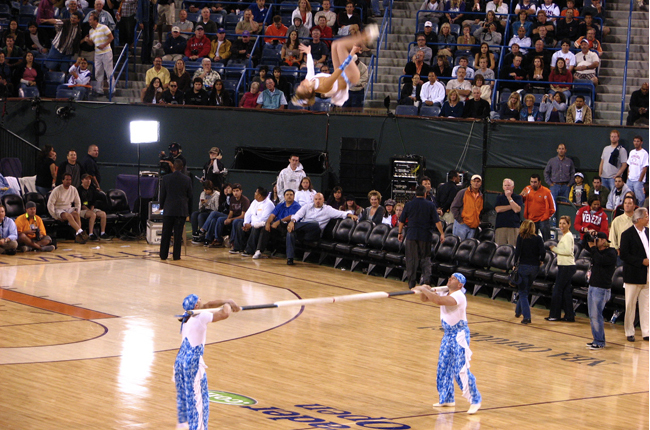 You might have also seen them perform on America’s Got Talent 2011, and Britney Spears Circus world tour 2009.